Excited to say that through the Forté Foundation, I was interviewed for this piece on Levo League about why women should consider going to business school! 8. Because you’ll broaden your horizons, sharpen your skills, and get better at what you’re best at. MLT’s first round MBA Prep application deadline is on September 15th, and they really want you to apply! They’ve created a guide to completing their application in seven days or less and note that they know of people who’ve completed their entire application in two days! I didn’t do MLT, but I know a bunch of people at Kellogg who did and who have come into school with a strong community of other MLTers and some amazing scholarships as a result of their participation. So make sure to check out the program and apply if you’re interested! More than 5,000 high potential minorities have benefited from our programs. 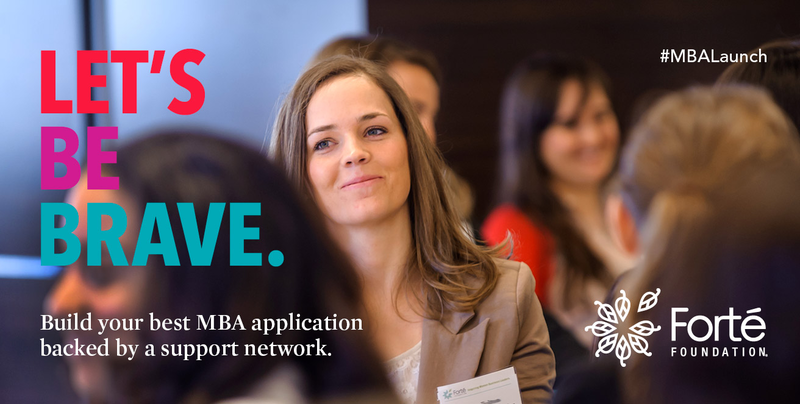 Last year, 98% of our MBA Prep Fellows entered a Top 25 Business School. One year from today, you yourself could be applying to a top business school with MLT’s help. Submit your application before September 10th and receive a VIP access code to attend an exclusive virtual fireside chat with Willie Green, Admissions Officer with Duke University’s Fuqua School of Business on 9/10 at 8PM EDT. Your next step toward getting into a top rated MBA program starts with submitting your application before the Round 1 deadline. For questions about the application process, the MBA Prep Program or MLT, please visit our website, email us at mbap-recruiting@ml4t.org, or call the MBA Prep hotline from 10am – 5pm at (202) 793-8551. My last post was about setting up informational interviews with students and/or alumni from your target schools. I did a bunch of these intel sessions as I was applying, and I got great information not just about each school, but also about how to package myself as an applicant. During my informational interview phase, I spoke to four students at UCLA Anderson, one Kellogg student, two Kellogg alums, a student at Indiana Kelley, a student at NYU Stern, and a student at Stanford GSB. Here is what I learned from them! At last year’s Forté conference, I was waiting for lunch next to an Anderson student who couldn’t decide what sandwich she wanted. I offered to get a second kind and share with her, so we ate lunch together. After the event, she connected me with another Anderson student, who then introduced me to another, and another…you get the idea. When I was standing in that line, I didn’t see the sandwich swap as my way into a series of awesome informational interviews with MBA students — it was my way, as a semi-shy person, to connect with one student at one of my target schools. But I got lucky; the informational interviews I got from this chain of referrals were invaluable, and I think you should do the same! Wondering how you stack up against other applicants to your dream MBA programs? Check out Clear Admit’s MBA LiveWire, which is a live stream of updates from candidates applying to school (fictitious example: Interview invite from Columbia, 710 GMAT, 3.4 GPA). If you dig the info about who’s getting into which schools, a couple of similar resources are GMAT Club’s Admit Forum, where applicants post their application stats and results, and Poet and Quant’s Handicapping Your MBA Odds series, where HBR guru John Byrne reviews blind profiles of MBA applicants and gives them an estimate of their likelihood of admission. Now, I should mention that these things gave me a bit of anxiety while I was applying to school, so I used them sparingly, but they’re worth checking out (especially if you have a stronger stomach than I do) — they can help give you a sense of who else is applying and how they’re all doing. Another thing to remember is that you are not just the numbers in your application. The GMAT Club forum will give you an idea of the career backgrounds of the other folks applying, and as a non-traditional candidate, you’ll notice that you stand out immediately. Remember that this info is just a starting out point to get a sense of what the applicant pool looks like. Also, Clear Admit is doing a limited time discount on their awesome school guides with promo code CASG25. They didn’t give a deadline for the promo code, so go get yours today! And if you want awesome blog posts and discounts from MBA admissions-type people in your inbox, make sure to join all the lists! Image courtesy of The CW Network.